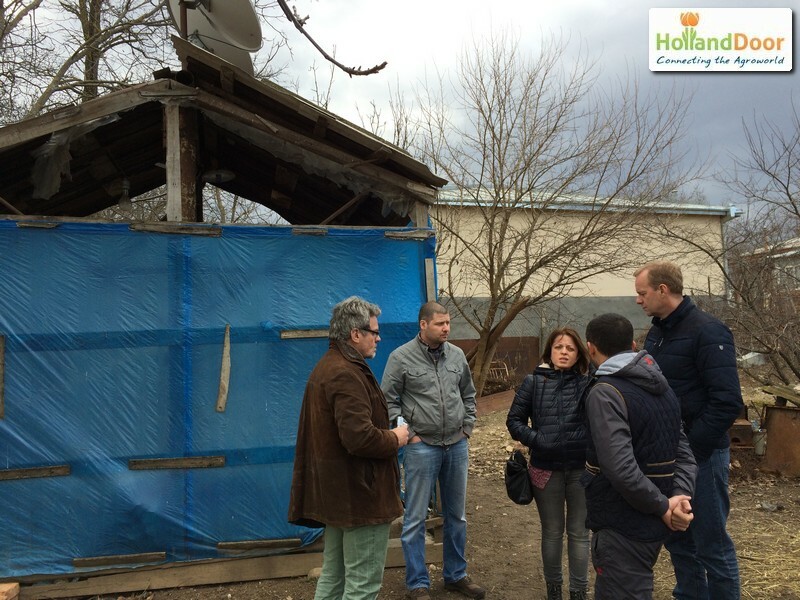 Since 2014 HollandDoor is involved in the agricultural sector in Georgia and built a relationship with the Georgian Farmers Association (GFA). 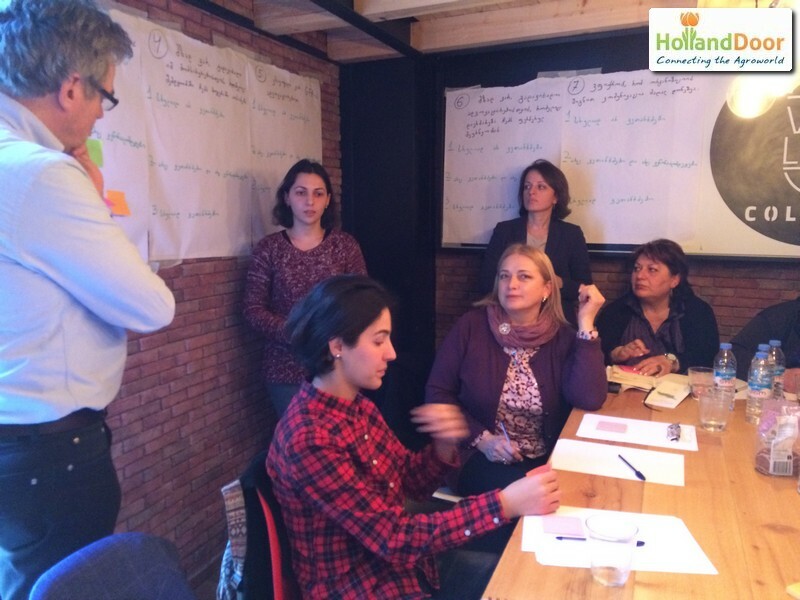 In February 2016 HollandDoor, together with an Agriterra team (www.agriterra.org) conducted a mission to assess and advise GFA in its future development. GFA was established in 2012 and has developed very fast towards a farmer organisation with more than 6,000 members. The big challenge for GFA is to transform from a donor-oriented association to a financially independent member organisation with a solid farmer base in the regions. For that reason HollandDoor organized a study tour in the Netherlands in July 2015 to let GFA learn from Dutch examples. 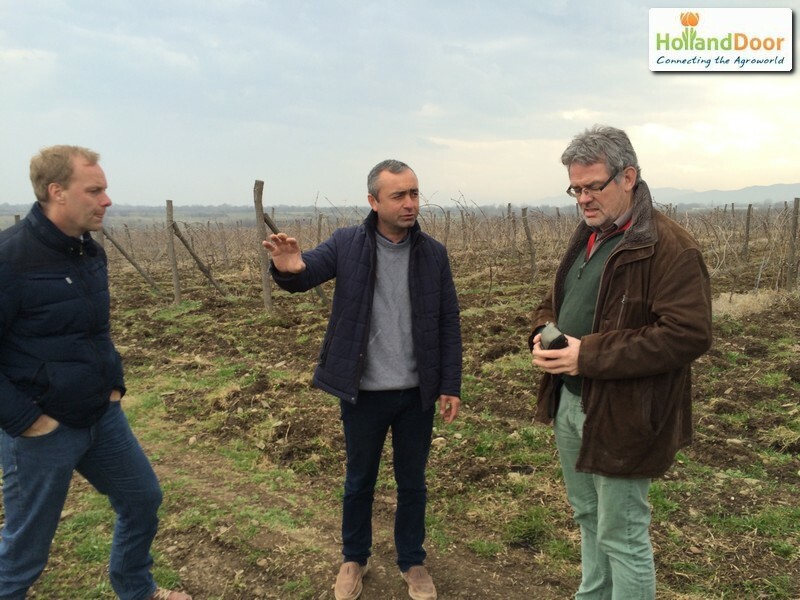 During the visit GFA became enthusiastic about organizations such as ZLTO and Agriterra, which was the starting point for the February 2016 mission. Mr. Ton Duffhues of ZLTO (www.zlto.nl) and Mr. Frank Zeinstra of Flynth (www.flynth.nl) and Jos Leeters of HollandDoor worked with the staff and members of GFA and came up with various recommendations in the field of strategy, advocacy and service delivery for the members, organisation structure, management, governance and finance.